Today, Giambrone employs more than 70 professionals and works closely with carefully selected strategic alliances across all corners of the globe providing expert advice and practical legal solutions to individuals and businesses of all sizes. Today, Giambrone employs more than 40 professionals and works closely with carefully selected strategic alliances across all corners of the globe providing expert advice and practical legal solutions to individuals and businesses of all sizes. 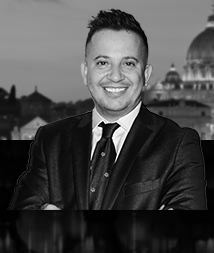 Giambrone is an award-winning full service law firm operating through a network of offices in Barcelona, Berlin, London, Milan, New York, Rome, Tunis and Palermo with plans to expand further over the coming years.